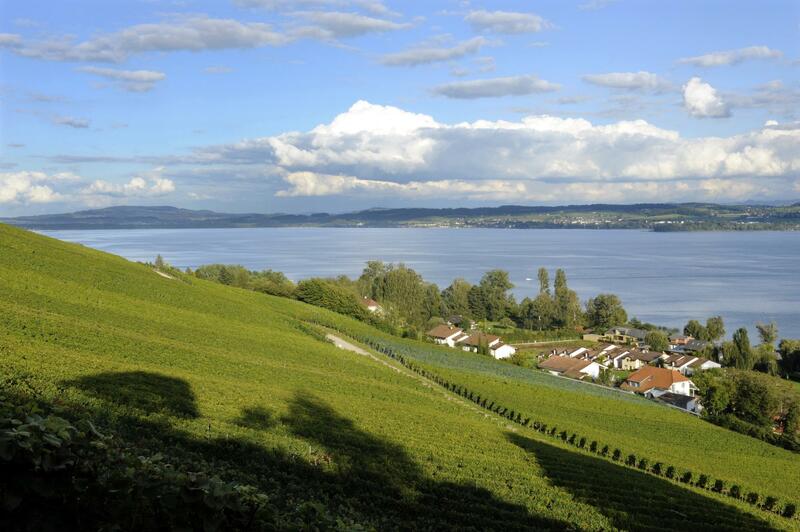 Vully is a small, dynamic vineyard above Lake Morat. It offers many assets described by Viny, the mascot of the wine trail forming a 4-km loop in the heart of the vineyards. Viny’s explanations are adapted to children and adults. Apart from describing winemaking from soil to wine, they will whet your appetite. Good news! 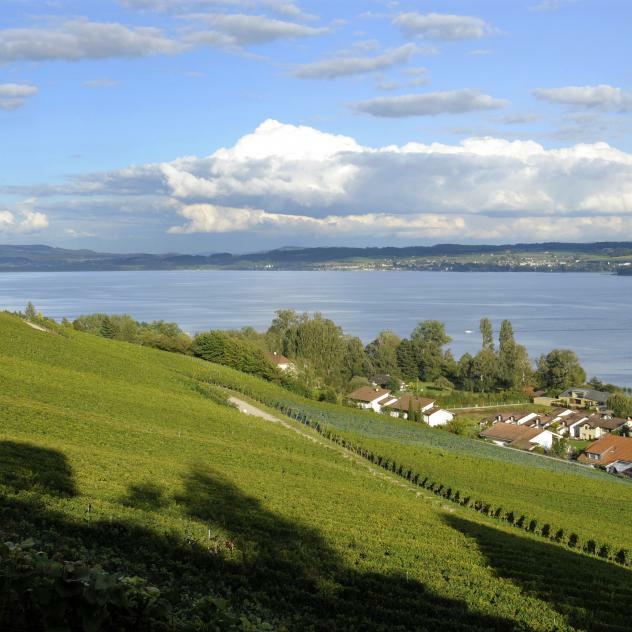 As producing aromatic whites and elegant reds is not sufficient, the region’s producers always have a Vully Cake handy. This nourishing specialty, which comes either savoury or sweet, will definitely transform a simple stroll into an unforgettable gastronomical experience.